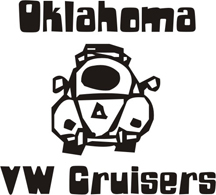 Oklahoma Vw Cruisers • OUR VW show OCT 15! OUR VW show OCT 15! Re: OUR VW show OCT 15! Anyone with a decent selection of music on an ipod or other mp3 type device? I will provide a PA system for announcements and music, but I don't own one of those mini juke boxes. If nobody wants to undertake this 'job' im sure my phone will work.